55-year-old Michelle Obama said she has no interest in politics, does not live a normal life, and would not run for president. Obama states her life now has distanced herself from experiences of the everyday person. 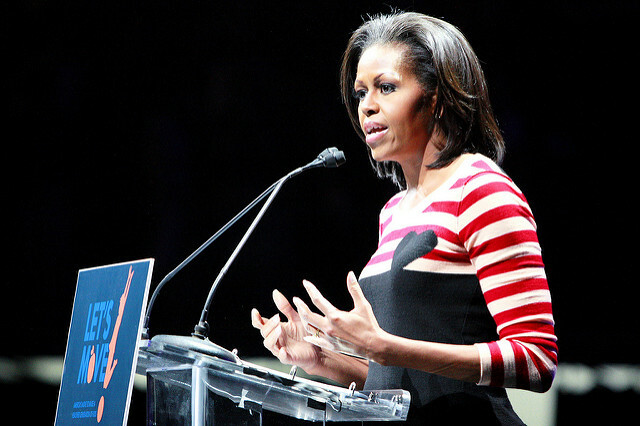 The popular former first lady has been encouraged to run for president. The wife of President Barack Obama from 2009 to 2017, said she would not seek any public office. Obama said in an interview on the podcast for Conan O’Brien about her book “Becoming’ she enjoyed the time before being thrust into the spotlight after she became the first lady sitting in her car eating Chipotle alone. Times like that were taken from her, and she could no longer participate in. Obama said during the podcast she misses being anonymous. She liked being able to blend into her surroundings and not be the center of attention. She discussed how she loves people and having a casual conversation. She said she is always being watched with her husband and continuously have security. She could no longer learn about anonymously the world, which is why she would not run. She stated she is not complaining about the sacrifice they made, but to be a leader, Obama felt she needed to hear the truth of people and to personally see the pain they are going through without it being filtered. Obama said eight years was enough and it was time for new people and ideas. It is necessary for a person with fresh eyes.